Oxford Film Festival Take 5 With...: Take 5 with ... "Grandmothers"
Take 5 with ... "Grandmothers"
As we gear up for the 10th anniversary Oxford Film Festival, we wanted to introduce you to the filmmakers and their films you will experience on Feb. 21-24, 2013. 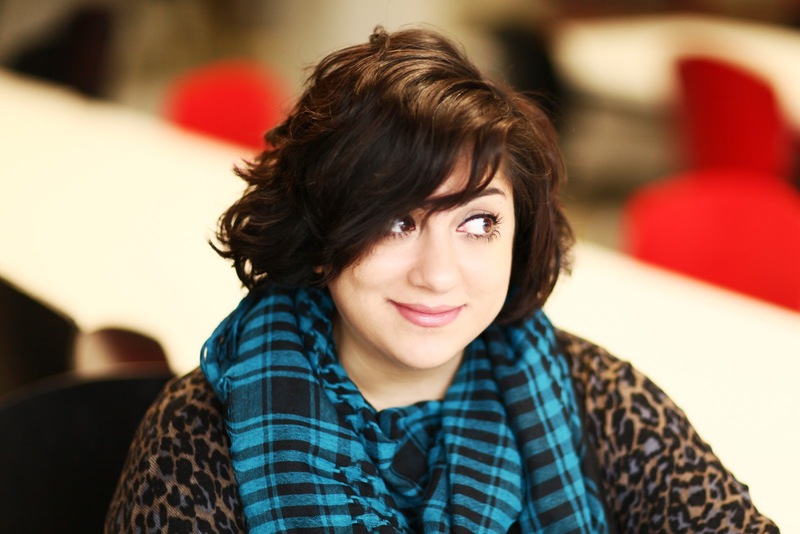 Meet Afarin Eghbal, director.co-writer and animator of "Abuelas" or "Grandmothers." Q1: In 140 characters or less, describe your movie and why someone should see it? The film is testament to an incredible group of women called the Grandmothers of May Square who have worked tirelessly to recover their missing grandchildren. Q2: Biggest lesson learned in getting the film made? Best part in getting the film made? Main lesson learned is to stick to your directorial decisions and original vision, even if and especially if others are unconvinced of it’s success. It has to be the film you set out to make – so don’t allow yourself to get steered away from that. Best part about making the film was flying to Buenos Aires, meeting and interviewing the ABUELAS, and witnessing first-hand their march around May Square. Seeing up-close the Grandmothers’ stalwart determination in their activities despite such loss and heartache was incredibly humbling and emotional for me personally, and further cemented the importance of making my film. Q3: Tell us about you – What is your movie making background? ‘Abuelas’ is my debut/ first film. It was my graduation film, which was made in my final year of studies on the MA Animation Direction course at the National Film & Television School. I had no formal education or background in film prior to coming to the film school. I had made some idents, commercials and music videos which won various competitions, which I had made during my time at Central Saint Martins College of Art & Design. Q4: What’s your dream distribution plan for the film? My plan for the film is for it to continue to screen at festivals worldwide throughout 2013. In doing so, I hope to spread the message of the grandmothers, increasing awareness about their cause, especially among the younger generation who may not have known about the events of the Argentine ‘Dirty War’. Q5: What does the future hold in store for your film and for you? I know that Abuelas is continuing to be booked for film festivals throughout 2013. In the meantime, I will be working on my first live-action feature film (a psychological horror) currently in pre-production. I wanted to avoid another animated-documentary as my 2nd film as I didn’t want it to be directly compared to ‘Abuelas’, plus I want to prove my versatility as a filmmaker. Though I’m certain I will return to animated-docs at some point in the future.